This time we performed our show in really unusual conditions – on the party boat sailed around cost of Bodrum, famous Turkish holiday resort. Show was part of Indian weeding celebrations, during 3 days we performed our Fire and UV LED light acts in various locations, in the luxury hotel Paramount as well on stages build on local beaches. 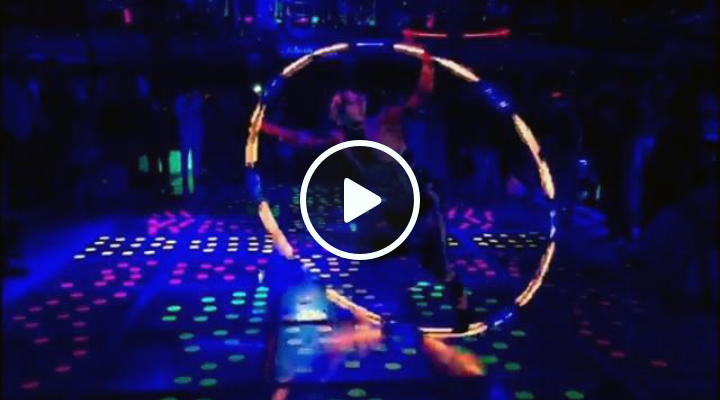 Boat show was finale of our stay and as a part of Crystal Light Show we incorporated our brand new prop LED PIXEL Cyr Wheel – acrobatic tool with programmable light patterns that can create various graphics and visual effects during spinning act.